Romania has a very high fraud in the VAT field and this is why the authorities had put in place a VAT registration process for resident entities, which is far more demanding compared to similar processes in other EU countries. After the VAT registration file is submitted at the level of the Romanian tax authorities, the tax authority performs an ​​evaluation of the fiscal risk of the taxpayer. Criteria regarding the employees: the Romanian tax authorities will check if the company has concluded individual employment contracts (i.e. except for the contracts concluded with the persons employed as CEO and chief accountant). Very important: the company will need to have employees (either its own or hired through an agreement from another entity), in order to be able to carry out economic activities in Romania and the VAT registration to be approved. A company must meet as many criteria as possible in order to have chances to a positive outcome, namely the VAT registration application to be successful. Moreover, each criteria will need to be backed up with relevant justifying documents, if the case may be. 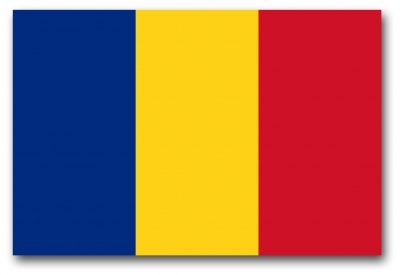 For a Romanian established entity to receive the VAT registration, the company should be already operational in terms of business activities: to have a premises where activities are carried out, to have employees, to have opened a bank account for current operations, to have in place an accounting department/agreement with a third party for accounting purposes, etc. Therefore, the company does not need to prove only the intention to carry out activities in Romania, but it needs to have the business activities already started. In case you plan to register for VAT purposes in Romania, please keep the above in mind and act accordingly. Categories: Tax Knowledge | Tags: anti fraud, criteria, EU countries, Fraud criteria, Romania, romanian vat, taxpayer, VAT registration | Permalink.